Most people have auto insurance but don't understand how they are covered or what to do if they find themselves in an accident. 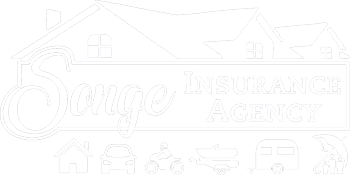 At the Songe Insurance Agency, we take the time to explain the coverage options and limits available in an auto insurance policy to help you get the coverage you need for your particular situation. Annual Policy Renewals – Where most auto policies renew every 6 months. we offer auto policies that renew every year. Your policy premium is set for an entire year, so you know exactly how much your coverage is going to cost you. Plus, you can use the same insurance cards year round and eliminate the inconvenience of mid-year renewals. Accident Forgiveness – If you have an accident after being insured for three consecutive years without any violations or at-fault accidents, your accident will be forgiven and won't impact how much you pay for auto insurance. Diminishing Deductibles – Remain claim-free and your collision deductible will reduce by $100 annually, up to a maximum of $500. Deductible Waivers – If you're involved in a not-at-fault collision, or if you have a comprehensive loss that results in a total loss, your deductibles are waived. Lock and Key Replacement – If lost or stolen, your electronic keys and locks are replaced free of charge. Liability Coverage – Covers injury or damage to others when you are at fault in an accident. You are required to carry Auto Liability Coverage in Mississippi with minimum limits allowed of 25/50/25. This means your policy will pay up to $25,000 per person in the other vehicle for their medical bills, cap the coverage at $50,000 for the total of everyone's medical bills combined in the other vehicle, and pay up to $25,000 for all property damage you caused. You have several coverage options available, such as 50/100/50, 100/300/100 and 250/500/100. 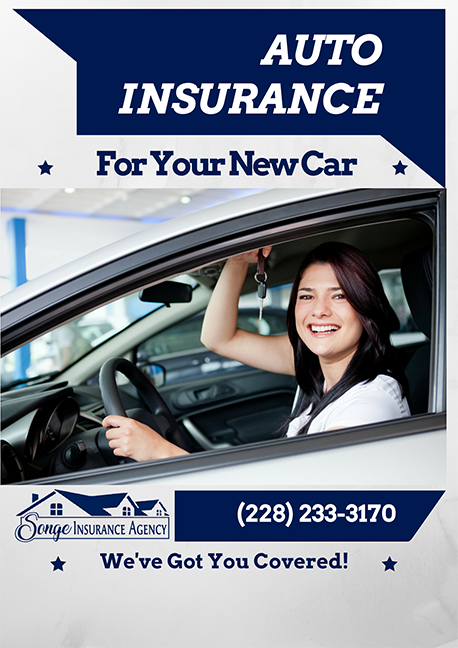 Other variations are available as well depending on the auto insurance carrier. Uninsured Motorist Coverage – In the event you are injured or sustain damage to your vehicle by a person who did not carry auto insurance or from a hit and run, your Uninsured Motorist Coverage will pay for your injuries and damage as if the other person had Liability Insurance. The limits represent the same as under Liability Insurance, but they cover you and everyone in your vehicle. Collision Coverage – This covers your vehicle if you collide into something. This covers collisions with other cars as well as if you were to run into a tree, mailbox, bridge or a ditch. You choose your deductible (the amount you share in the cost of repairs); most common are $100, $500 or $1,000. Comprehensive Coverage – This covers anything that may happen to your car that is not directly related to a collision. This would include things such as hail damage, a tree falling on your car/truck, fire, flood, hitting a deer, theft or vandalism. As with collision coverage, you choose your deductible. And in some cases, whether the deductible will apply to glass only claims. Medical Payments Coverage – This covers injuries to others while getting in, on or out of your vehicle, regardless of fault. An example would be someone slamming their fingers in a door or falling while getting out of a car and injuring themselves. This also covers you as a pedestrian if you are hit by a vehicle while walking on the side of the road. It's important that you know what you are getting in your Auto policy; what the limits represent and how they affect you. We want to ensure you are comfortable with the process and understand the protections available before you purchase or renew your auto policy. Everyone's needs are different and change over time. It's our job to help you find the right coverage and price to fit your needs.